Tomas speaks with MichiganBusinessNetwork.com CEO Chris Holman in the kick-off to his inaugural segment and episode of this new program on the network "globalEDGE Business Beat." Tomas continues to speak with MichiganBusinessNetwork.com CEO Chris Holman; they discuss small business in Michigan from an international perspective. 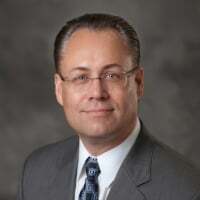 Tomas speaks with Sten Sjoberg, chief operating officer of Demmer Corporation based in Lansing, MI; they discuss target countries for international trade and exporting for small businesses in Michigan. Tomas continues to speak with MichiganBusinessNetwork.com CEO Chris Holman; they discuss the importance of international trade and global competitiveness in Michigan. Tomas continues to speak with MichiganBusinessNetwork.com CEO Chris Holman; they discuss the function and impact of the Michigan State University International Business Center. Tomas continues to speak with MichiganBusinessNetwork.com CEO Chris Holman; they discuss the impact Michigan State University has on the economy of the state of Michigan as a whole.